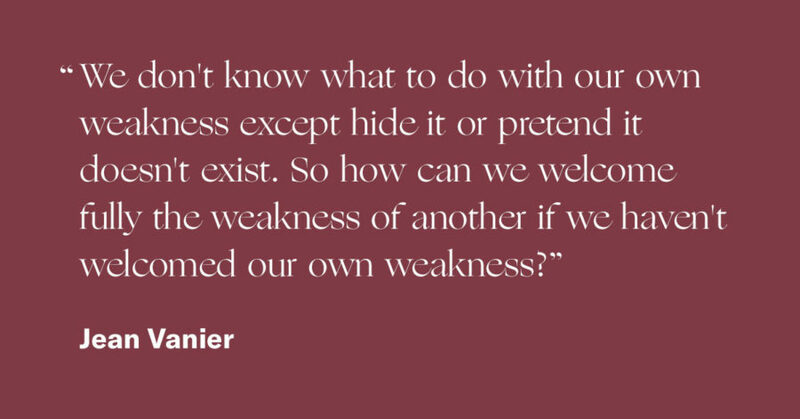 Jean Vanier is a philosopher and the founder of L'Arche. He lives full-time in the original community in Trosly-Breuil, France. He's also the recipient of the 2015 Templeton Prize. His books include Befriending the Stranger, An Ark for the Poor, and A Cry is Heard: My Path to Peace. Krista Tippett, host: It took me a while to put a name to the rare quality that is palpable in Jean Vanier’s life and presence. It’s a wisdom of tenderness. He’s a philosopher and a Catholic social innovator and simply one of the great elders in our world today. The L’Arche movement, which he founded, centers around people with mental disabilities. He has devoted his life to the practical application of Christianity’s most paradoxical teachings: that there’s power in humility, strength in weakness, and light in the darkness of human existence. The 154 L’Arche communities in 38 countries have become places of pilgrimage, transformative for those involved and for the world around them. Jean Vanier: It’s the realization of how to create a culture which is no longer a culture just of competition, but a culture of welcoming, where tenderness, where touch is important. It’s neither sexualized nor aggressive. It has become human. And I think that this is what people with disabilities are teaching us. It’s something about what it means to be human and to relate and to celebrate life together. Ms. Tippett: I’m Krista Tippett, and this is On Being. 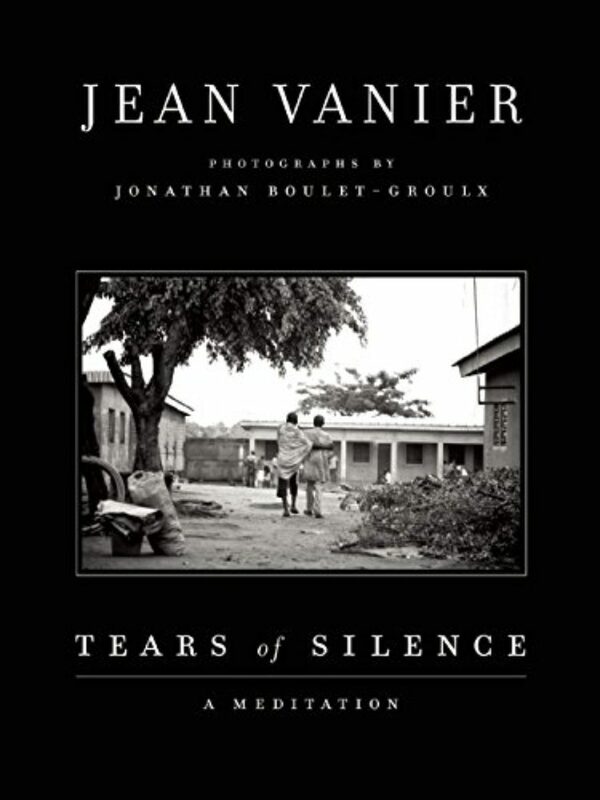 Jean Vanier grew up during World War II, the son of a prominent French Canadian statesman. He still lives in the original L’Arche community in Trosly-Breuil, France. I sat with him in Maryland in 2007, while he was leading a retreat for college students. 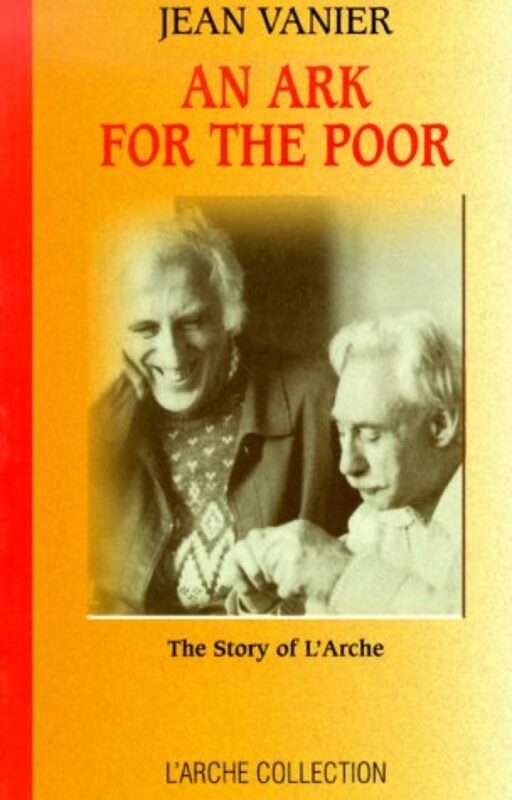 The story of L’Arche, which is French for “the ark,” began in 1964. 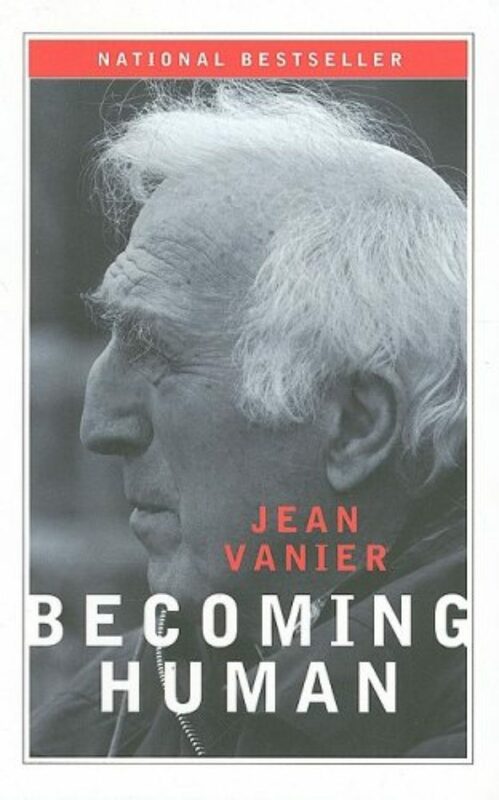 Jean Vanier was a professor of philosophy at St. Michael’s College in Toronto. He had done his doctoral work on happiness in the ethics of Aristotle. At Christmas time that year, he went to visit a friend in France who was working as a chaplain for men with mental handicaps. He was especially moved by a vast asylum south of Paris in which all day, 80 adult men did nothing but walk around in circles and take a two-hour compulsory nap. He bought a small house nearby and invited two men from that asylum to share life with him. This was not a linear career move. 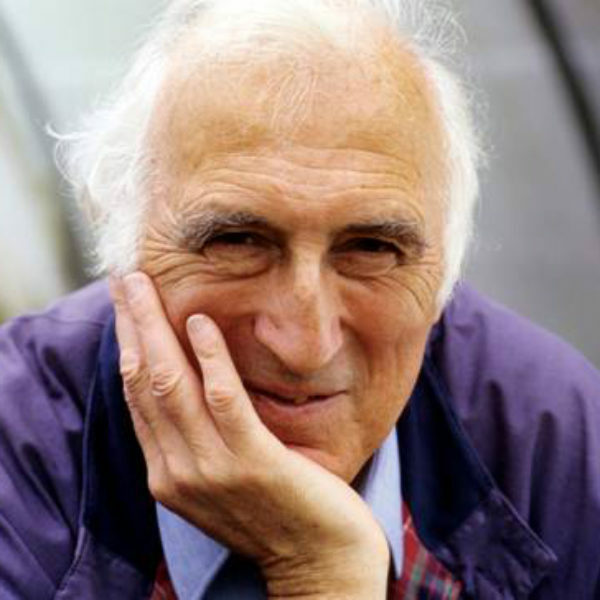 Jean Vanier had entered the British Royal Naval College as a teenager and commanded an aircraft carrier in his 20s. When he left the military, before he studied philosophy, he spent a year in a contemplative community in a poor area near Paris. L’Eau Vive, as it was called, “water of life,” was dedicated to serving the poor, praying, and studying metaphysics. Everybody laughed, and he couldn’t understand why people are laughing because it was, to him, a very concrete example. So he was a metaphysician. He was a thinker. He was really a man of God. And he was the one who encouraged me to do studies and encouraged me particularly to work on Aristotle. The big thing with Aristotle is the primacy of experience over idea. A lot of people don’t know that. The worst thing that can happen is for Aristotelians to become Aristotelians because then they start reading Aristotle, but they’re no longer in linked with reality — to touch reality, to listen to people, to see the world evolving, and so on. Ms. Tippett: Right. I thought, it’s so interesting you said that Aristotle talked about an ethics of desire that is resonant with who we are today because people want to have meaning in their lives, which Aristotle identified, and they want to be thrilled by it. And you said an ethics of desire is good news for us at a time when we have become allergic to an ethics of law. Mr. Vanier: Yeah. You see, the heart of everything with Aristotle: desire and pleasure. For Aristotle, pleasure is not something which is just sort of fooling around. Pleasure is when you have an activity, which you have performed well, be it philosophizing or struggling for justice, whatever you do and you do well — it’s filled with pleasure. It’s joyful, the fulfillment of a desire in an activity you’re doing well. Ms. Tippett: And what I think is so edifying about talking about that is, often people might say, look at the life you’ve led and the work that you do and contrast that with what they might call our pleasure-seeking, entertainment-oriented society. But what I hear when you talk about Aristotle is, you’re not condemning that basic impulse that we have to seek pleasure. You’re just saying that we can take that to a much deeper and more profound level. Mr. Vanier: Yeah, it’s just finding what activity will give you the greatest, the deepest pleasure. 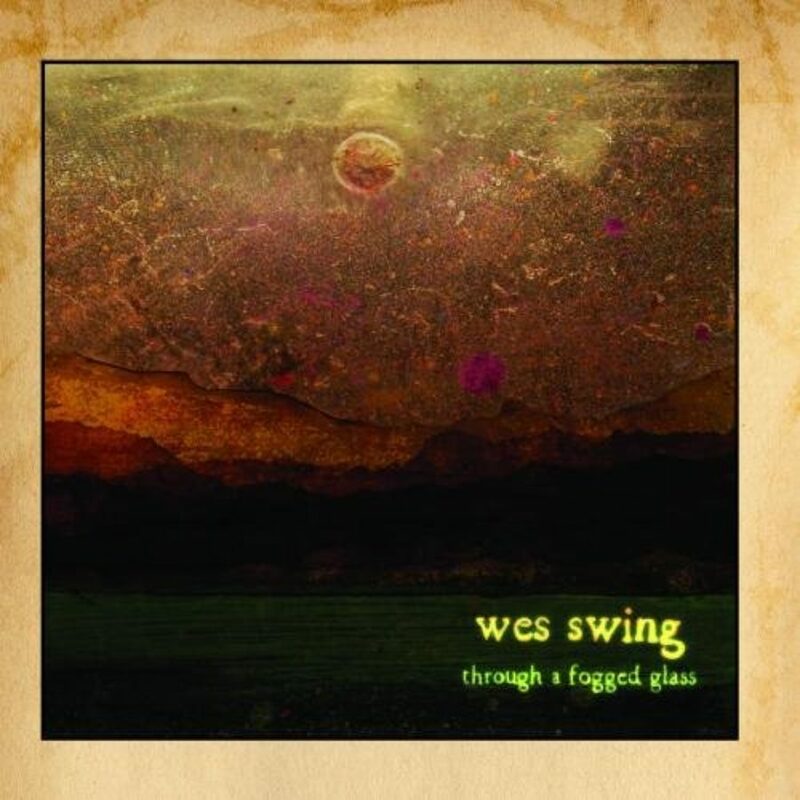 For some people it might be drinking whiskey, rock, and so on. But for me it was to find a meaning through philosophy, through my relationship with Jesus, through justice, through a struggle. And it’s true that I sense deeply that I’ve always been, really, a happy person. That doesn’t mean to say I haven’t had difficulties; that doesn’t mean to say I didn’t go through difficult conflicts or stuff like that. 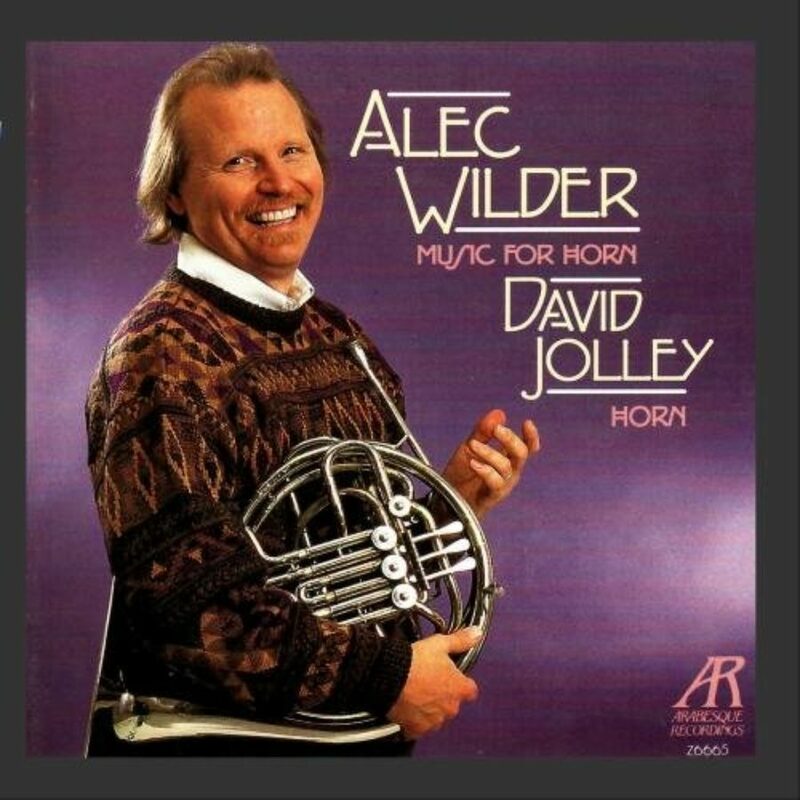 But fundamentally, I’ve had a pleasurable life, a joyful life. Ms. Tippett: Talk to me, though, about how you connect a word like pleasure and this longing with the place where I really sense you found your calling, you understood what was meaningful for you, when you went back to France, and you encountered men in an asylum. Somehow, you were seized by that, and that has mapped out the direction of your life. Mr. Vanier: Thus, the cry of God saying, “Do you love me?” and the cry of people who have been wounded, put aside, who have lost trust in themselves — they’ve been considered as mad — and all the rest. Their cry is, “Do you love me?” It’s these two cries that come together. Ms. Tippett: Not just in the context of disabilities — you’ve posed this question — you’ve said the whole question is, how do we stand before pain? All kinds of pain and weakness are difficult for us as human beings. Why is that so excruciating? Why do we such a bad job with it? Mr. Vanier: I think there are so many elements. First of all, we don’t know what to do with our own pain, so what to do with the pain of others? We don’t know what to do with our own weakness except hide it or pretend it doesn’t exist. So how can we welcome fully the weakness of another if we haven’t welcomed our own weakness? There are very strong words of Martin Luther King. His question was always, how is it that one group — the white group — can despise another group, which is the black group? Will it always be like this? Will we always be having an elite condemning or pushing down others that they consider not worthy? And he says something, which is quite, what I find, extremely beautiful and strong — is that we will continue to despise people until we have recognized, loved, and accepted what is despicable in ourselves. So that, then we go down, what is it that is despicable in ourselves? There are some elements despicable in ourselves, which we don’t want to look at, but which are part of our natures, that we are mortal. We are very fragile in front of the future. Accidents and sicknesses is the reality. We are born in extreme weakness, and our life will end in extreme weakness. People don’t want to hold on to that. They want to prove something. They want security. They want to have big bank accounts and all that sort of stuff — but then, also, hold lots of fears within us. We are a frightened people. I believe we’re in front of a mystery of the human reality, and people who are very deeply disfigured in their face, in their body. And it’s the fault of nobody. It’s a reality that is there. Maybe we can work things out and discover what gene it is and so on. But the history of humanity is a history of people being born extremely fragile because sickness and death is part of our reality. Ms. Tippett: As you’ve also pointed out many times, we all have, what did you say — you called them our weaknesses, our limitations, our disfigurements. They don’t all show on our bodily surface, right? But somehow, we recoil when it shows. Mr. Vanier: There’s such a need to be appreciated, such a need to be loved. With that sense somewhere that if they see what is broken in me, they’ll no longer love me. So somewhere there has to be a complete change. That we love people not because they’re beautiful or clever, but because they’re a person. Mr. Vanier: Oh, yes. 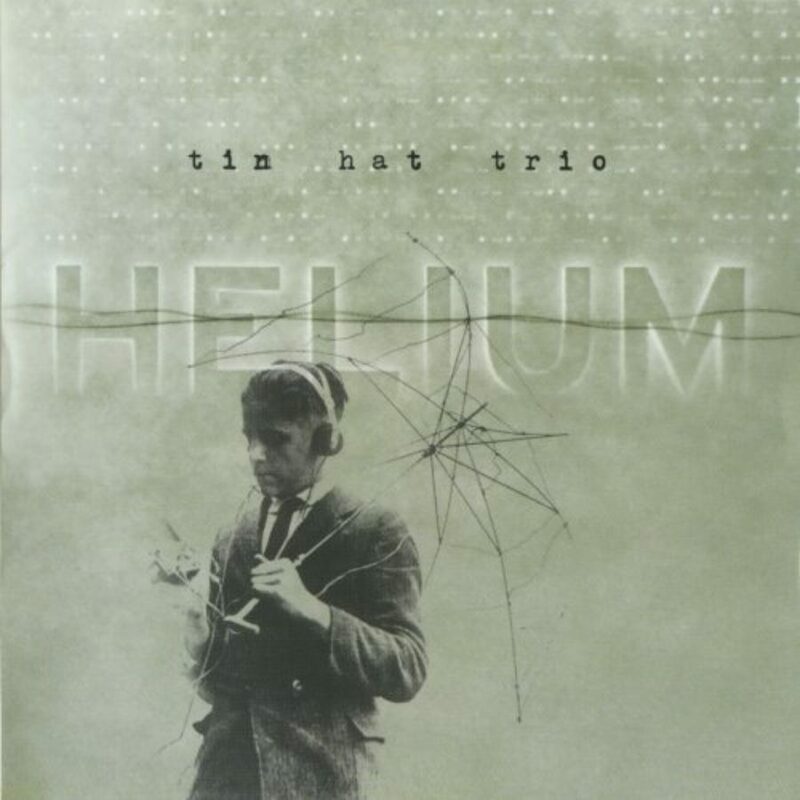 I was sitting and there was a man who was a bit glum like a lot of people, a bit glum. Anyway, there was a knock on the door, and before I could say “Come in,” Jean Claude walked in. Jean Claude technically would be Down syndrome. And Jean Claude shook my hand and laughed, and shook the hand of the other fellow and laughed, and went out laughing. And the man that had been in my office looked at me and said, “Isn’t it sad, children like that?”And what was sad was that he was totally blind. He didn’t see that Jean Claude was happy. Ms. Tippett: I’m Krista Tippett, and this is On Being. Today, the wisdom of tenderness, with Jean Vanier. 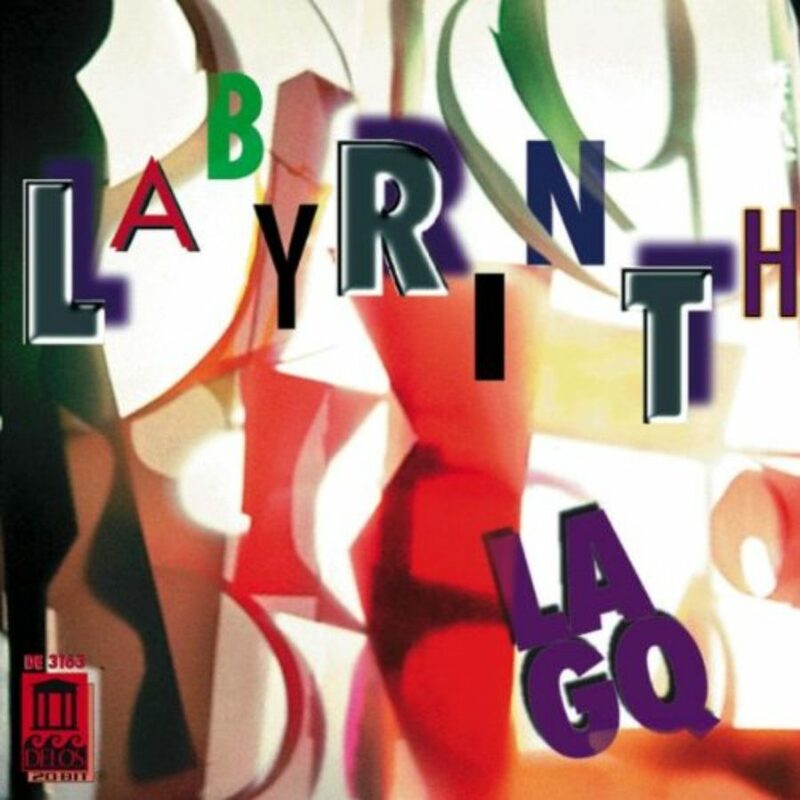 He created L’Arche, a model of religious community centered around people with mental and intellectual disabilities. Ms. Tippett: You’ve written that, from the point of view of faith, those who are marginalized and considered failures can restore balance to our world. Talk to me about that. Mr. Vanier: The balance of our world frequently is seen as a question of power: that if I have more power and more knowledge, more capacity, then I can do more. But does this tension between the doing and the being — and when you have power, we can very quickly push people down. I’m the one that knows, and you don’t know; I’m strong and I’m powerful; I have the knowledge. This is the history of humanity. And that is all of what I’d call the whole educational system, is that we must educate people to become capable and to take their place in society. That has value, obviously. But it’s not quite the same thing as to educate people to relate, to listen, to help people to become themselves. So the equilibrium that people with disabilities could bring is precisely this equilibrium of the heart. Children — maybe a father is a very strong man and businessman, and when he comes home, if he gets down on his hands and knees and plays with the children, it’s the child that is teaching the father something about tenderness, about love, about the father looking at the needs of the child, the face of the child, the hands of the child, relating to the child. And the incredible thing about children is they’re unified in their body, whereas we can be very disunified. We can say one thing and feel another. So as a child can teach us about unity and about fidelity and about love, so it is people with disabilities. It’s the same beauty and purity in some of these people — it is extraordinary — and say, our world is not just a world of competition, the weakest and the strongest. Everybody has their place. Ms. Tippett: It seems that you have developed quite an important theology of the body through your work with L’Arche. I think maybe you’re edging towards it there, but it’s bigger than that also. Mr. Vanier: Yes, L’Arche is not based first on the word. You’ll find lot of communities which are based on the word, thus to say we speak of an ideal together and we are committed to an ideal or to a vision and so on. But L’Arche is based on body and on suffering bodies. They are seen as useless, and so we welcome those who apparently are useless. It’s a suffering body which brings us together. It’s our attention to the body. When somebody comes to our community and is quite severely handicapped, what is important is to see that the body is well. Bathing, helping people dress, to eat: It’s to communicate to them through the body. And then, as the body can become comfortable, then the spirit can rise up. There’s a recognition. There’s a contact. There’s a relationship. We see this with some of our people, like Françoise. Françoise came to our community in 1978 very severely handicapped. She couldn’t speak; she could walk a bit; she couldn’t dress herself; she was incontinent; and she couldn’t eat by herself. Today, she is nearly 30 years older — she has become blind and — a beautiful person. There was somebody who came to our community not too long ago who saw Françoise, and the reaction was, “Oh, what is the point of keeping Françoise alive?” The leader of the little house said, “But madam, I love her.” It’s as if you come in to a home and grandma is in the home and she has Alzheimer’s, and you say, “What is — ” But she’s my grandmother. So it’s based on the body, and then from the body, relationship grows. Ms. Tippett: You know that when I went to spend a few days in a L’Arche community a few years ago, I’ve never been hugged so much in my life. It was very physical, joyfully physical, and without some of the inhibitions. On the one hand, yes, our culture says bodies have to be beautiful and faces have to be beautiful, but we also sexualize everything so that touch becomes complicated. Touch was so uncomplicated, and it was also so appropriate. There was a sort of tenderness. So it’s the realization of how to create a culture which is no longer a culture just of competition but a culture of welcoming, where tenderness, where touch is important, and it’s neither sexualized nor aggressive. It has become human. I think that this is what people with disabilities are teaching us. It’s something about what it means to be human and to relate and to celebrate life together. 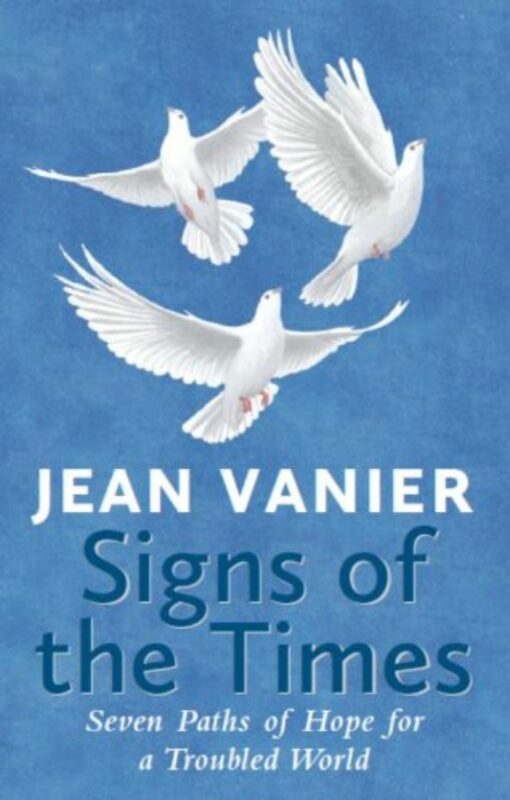 Ms. Tippett: After a short break, more with Jean Vanier. You can always listen again and hear the unedited version of every show we do on the On Being podcast feed. Now with bite-sized extras, wherever podcasts are found. 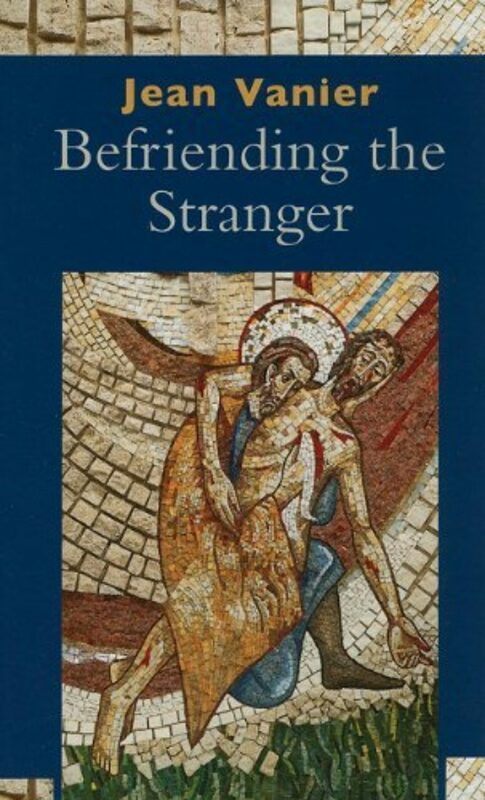 As described in the writings of Jean Vanier, Henri Nouwen, and others, this experience is transformative for all involved — and for the world around them. L’Arche communities today draw members and visitors or pilgrims from many traditions. Within Roman Catholicism, Jean Vanier is considered by some to be a living saint. 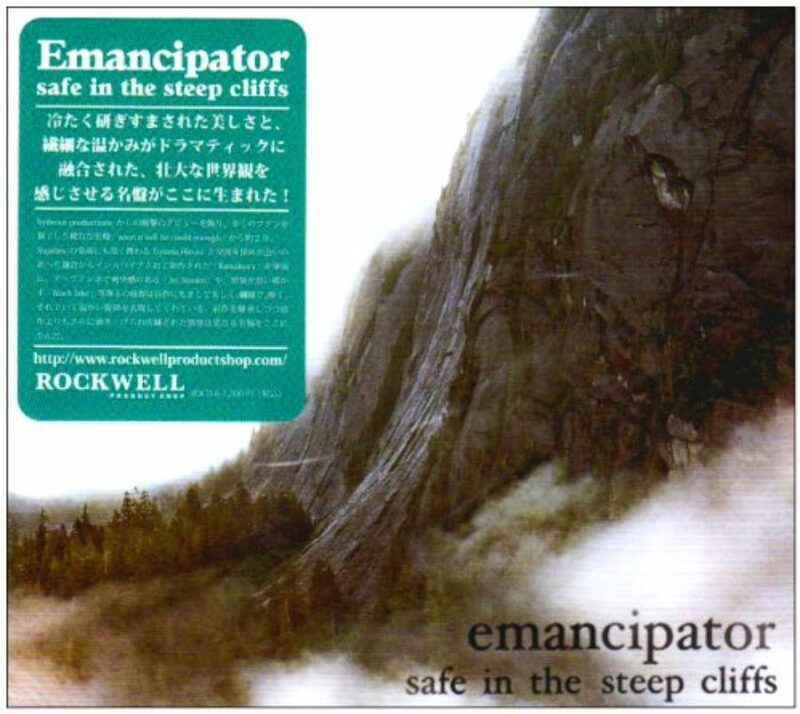 I met him in 2007. Ms. Tippett: This question that Jesus asks, who do you say that I am? I wonder how you answer that question or respond to that question here at 79? What touches me there is God knocking at the door, not kicking the door down but waiting. Do you, will you open? Do you hear me? — because we’re in a world where there’s so much going on in our heads and our hearts and anxiety and projects that we don’t hear God knocking at the door of our hearts. So I’d say that what touches me the deepest, maybe because I’m becoming, myself, more vulnerable, is the discovery of the vulnerability of God, who doesn’t oblige. The other element, which is probably, again, linked to that, is that the only thing that’s — what I see important for myself is just to become a friend of Jesus and nothing else. The whole I think of the mystery of Christianity is just living with Jesus the way Jesus lived in Nazareth with Mary, his mother, and with Joseph. A relationship — John the Baptist was strong, he was powerful. He was prophetic. Jesus was quiet. And he ate with people who are caught up in prostitution, with tax collectors, with lepers and all that. There’s something so simple about Jesus that he is disarming. We don’t quite know what to do with it because, frequently, we would want a powerful Jesus who will put everything straight, who will cure everybody, who will do everything that we tell him to do. And it’s not like that. Ms. Tippett: And, of course, one implication of the vulnerable God, of honoring human freedom, is precisely this dark side that we’ve been talking about, that human beings cause each other pain, dominate and destroy. So then I’m coming back at you with that theodicy question, the question of: Still, if God is God, is that enough to honor our freedom? So Francis the conversion — when I say the conversion, I’m talking about a change of the attitude because conversion is a change of attitude. It’s not just a quest of changing religion or that sort of stuff. It’s an inner change from the sort of fear and despisal of what appeared the most dirty, which in his period was the smell of the leper. He discovered there was a presence of God in the leper. So we can then begin to understand the whole mystery of rejection of God because we don’t want a god who is hidden in the dirt or hidden in dirty people or in smelly people or disfigured people or in those people who are in the refugee camps throughout the world. Ms. Tippett: You are deeply Catholic, I believe. You were raised in the Roman Catholic tradition or steeped in Catholic theology. The L’Arche communities are Christian at their core and based on this essence of your understanding of God and Jesus that you’ve been describing. One interesting thing that’s happened, I think, in the course of this great experiment of L’Arche is that the communities in India also have Hindu participants. And I was reading something you wrote recently that your community in France now has some Muslim members of the community. I wonder if that surprises you or how you’ve experienced that to happen and how that participation of people from other faiths adds to the knowledge to your sense of what this means or your theology or anthropology. Mr. Vanier: It’s important. And I’m glad you began by saying Catholic. See, catholic means universal. Ms. Tippett: Yes. Right. Catholic with a small c.
Mr. Vanier: Yeah. It is — Catholicism is an openness. The heart of God is open. But there was a tendency when I was younger, when I left the navy, of Catholicism where there was a wall around it, of the right and the wrong and the better and the best and all that sort of stuff. And it’s really very interesting, the history of L’Arche. History of L’Arche is the relationship between a vision or a principle and experience. What has experience taught us? That, for instance, Nadia is a Muslim Moroccan lady in the community next door, and I see her quite regularly. I love listening to her, and I love hearing what she’s saying of how she’s discovering the heart and relationship, how she’s discovering the depth of the Qur’an. Rakhi is the head of our community in Calcutta. She’s Hindu. I could sit at the feet of that woman and listen to her. She is amazing. The last time I saw her was about a year ago, and she was telling me that in Calcutta, they were having difficulty — we’re in a tough area of Calcutta. And she was saying that many of our people with disabilities were being laughed at, and people were throwing stones at them. And she said something was going wrong. We were being rejected by the — so we decided, she said, in the community, to do a play, a theater. And that we would take one of Tagore’s stories. And the Tagore story was a story between somebody who was a very liberal on the religious and another man who was very conservative and how they were in conflict and how gradual reconciliation came. She said, we did this and there were 300 people from a local area, and they’ve changed. What I’ve discovered as I’ve listened to Rakhi or I’ve listened to Nadia, the relation between the principle and the experience has been a movement in L’Arche over 40 years. And I could have difficulty with some of the changes or difficulty with discovering that experience is important. Sometimes, you want to clutch on to principles, and yet experience is saying go further, go further. Mr. Vanier: We are in an incredible world of technology, the global world. And yet, with television and even with cell phones and internet, we can cut away from relationship. To get an email, you don’t see the eyes of the person, you don’t see the face, you don’t see the smile, you don’t see the hands, you don’t see the tone of voice. And we have to come down to small is beautiful because small is where we relate. Ms. Tippett: Isn’t it funny that global technology may bring us back to small is beautiful. Mr. Vanier: Possibly. Or take us away from it. As I had said, as you look at that Iraqi child and you were wounded and wanted to do something, yet you were confronted by your incapacity because the child was not in front of you. If that child was in front of you, you could have taken the child in your arms. So we’re going into a world where the imagination, the virtual, the long distance, see things far away, appear as close. But you can’t touch them. They’re close to the imagination, but they’re not close to the body. So let’s come back to the reality of the small. Ms. Tippett: Like the people who live down the street from us. Mr. Vanier: We can touch them; we can be with them. The difficulty with L’Arche, which is also a beauty — I say it’s our difficulty, it’s our beauty, is that it’s small, and it’s just very little. Ms. Tippett: It’s small, and yet the story of L’Arche is that from one community in France, you are now all over the world. You’re in Africa. You’re in Bangladesh. You’ve talked about Calcutta, some of the places you’ve mentioned. Mr. Vanier: Yes. L’Arche has grown. But the reality of every day is sometimes quite painful in the smallness in a world where people are being pushed to pretend that they’re big. Ms. Tippett: I think it is. It’s deeply countercultural that you say repeatedly, you don’t want with L’Arche to change the world. That’s not the goal. Mr. Vanier: What we can do is what Gandhi says: We can’t change the world, but I can change. If I change, and I seek to be more open to people and less frightened of relationship, if I begin to see what is beautiful within them, if I recognize also that there’s brokenness because I’m also broken, and that’s OK, then there’s something that begins to happen. It’s so countercultural, but that doesn’t matter. What has happened, what I sense for the future of our poor little world, with all its ecological difficulties and financial difficulties, that maybe the big thing that’s going to happen is that little lights of love will spread over the country. Little places where people love each other and welcome the poor and the broken. Where we give to each other their gifts and have these little, little places, and that the world is — we’ll never hit the headlines, but we’ll be creating these little lamps. And if there are sufficient number of little, little lamps in each village or each city and parts of the city, well then the glow will be a little bit greater. Ms. Tippett: What is it you’ve said, that L’Arche is not meant to be a solution but a sign. Ms. Tippett: I’m Krista Tippett with On Being. 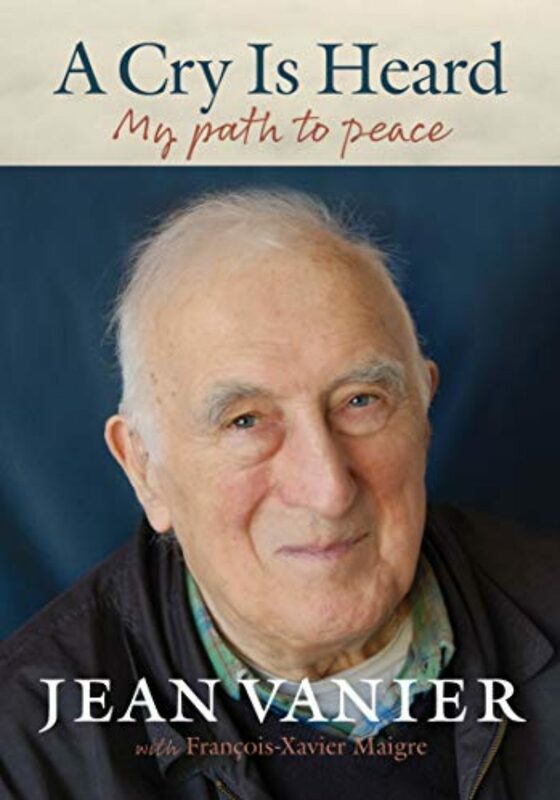 Today, exploring Jean Vanier’s understanding of religious virtue, the pain of the world, and the wisdom of tenderness. Ms. Tippett: I’m sitting with you outside Washington, and you’ve been spending the weekend leading a retreat with college students. And I wonder both what they teach you — I sense that you are a person who encounters other human beings as you talk often about standing with humility before humanity and learning. So what do you learn from them? And I’m also curious about at this stage in your life, what insights are you through what’s happening in your body, the aging of your body, the encounter with frailty that we all have it as the other end of life? How has that changing you? I have two questions. Mr. Vanier: Two questions. Yeah, the beauty of young people is their openness, their yearning, their enthusiasm. On the other hand, a feeling of discouragement because the machine is too big, machine of the world. Ms. Tippett: Kind of what we’ve been talking about, yeah. Mr. Vanier: Yeah. It’s too big. So there’s an immense yearning, thirst, but also a fear of commitment. Of course, in some ways, they’ve been too manipulated. I can think of my adolescence some — whatever it is — 60 or more years ago and, in a way, things were much simpler. Today, with the technology, this excitement, and yet we’re losing the sense of what it means to be human. This brings me back to the second question, which is that I’m human. I have my weaknesses, and I have my fragility, physical ailments of the heart. I have to take things quietly. And intellectually, I get tired much more quickly. So it’s just the acceptance of reality. The big thing for me is to love reality and not live in the imagination, not live in what could have been or what should have been or what can be to this reality, and, somewhere, to love reality and then discover that God is present in the reality. That doesn’t mean to say that we’re just to be passive to welcome reality, because we also have to know how to react in front of reality. Reality is a beautiful reality, but how to just to live that reality and live it with my own body, my own weaknesses, my own need for greater sleep, to get to sleep after lunch and all the rest of — this is my reality. And I know that in so many years’, time — would it be five years —I might be in a wheelchair, or whatever it is. I am somebody who’s moving towards that ultimate reality, which is much closer, which is death. My secretary Barbara, who was my secretary for 40 years, died last July. We held hands together for two hours, and she just left — and not to be frightened of death. Death is a passage, which will be an extraordinary discovery, something that’ll be so amazing that we can’t even imagine it. Ms. Tippett: This is another something you know, clearly. You know this. And all of your philosophy, all of your studies can’t explain that to you, something you know. Mr. Vanier: Yes. Something that we have experienced — if you just experience somewhere the peace of Jesus, the peace of being with other people, the peace of loving people, that experience transcends everything, the ideas we might have, because it’s that experience where we live trust. In Greek, the word “faith” and “trust” are the same word. Trust in other people, trust in God, trust in the peace that is in our hearts, trust also in those who are struggling to find peace and who’ve got their angers and their pain. That’s OK too. We’re in it together. Ms. Tippett: I just want to ask you one more question. I’m sure you don’t enjoy being reminded that, like Mother Teresa, in her lifetime, people said she was a saint, and in Jean Vanier’s lifetime, they’re saying that you are a saint. I don’t sense that a lot of your energy has been put into becoming a saint. There was this great shock recently that in Mother Teresa’s letters were revealed that she struggled with darkness and depression, and I wonder how you responded to that. Mr. Vanier: There are, again, number of questions. Ms. Tippett: Yeah, it’s a number of questions. Mr. Vanier: What I respond to that is that I knew Mother quite well. She was a fantastic woman. I’d have breakfast with her, and she’d be telling me about her foundation in Yemen and how she was hoping to get to China and what she was doing in Africa and so on. She might have had difficulties in praying but never, never, never did she have the slightest doubt in her mission. Ms. Tippett: I think somehow the astonishment over that is connected to what you’ve just said, that you are all about loving reality. And she was facing reality. She may have been a saint by some definition, but that doesn’t mean that she was removed from darkness. In fact, it meant that she was actually touching it and facing it and grappling with it. Mr. Vanier: She had a lot of anguish. And to bring anguish, which she had, and then to think that it doubted her faith — she never doubted her faith, but in her prayer that she lived anguish. This is what everybody lives. This is human reality. And I think when Mother Teresa was writing and telling these — and I still feel upset because she said that should be destroyed, and we didn’t take seriously what she had said. But she was obviously a woman of great anguish. So when you’re greatly anguished, your prayer will be anguished. Don’t be surprised, and don’t make a big thing out of it. This is the reality of everyone. She’s telling us now, stop thinking about this anguish. Just get on and start loving people. We must listen to what she said, which was we will be healed by the poor. So let’s get down to it. Ms. Tippett: OK. All right. Thank you. Is there anything you want to say about being compared to her as a living saint? Mr. Vanier: Sanctity put it in — what is important is just to become a little friend of Jesus. Ms. Tippett: OK. That’s your last word. Thank you very much. Ms. Tippett: Jean Vanier is founder of the L’Arche Federation. He lives full-time in the original L’Arche community in Trosly-Breuil, France. His books include Befriending the Stranger, An Ark for the Poor, and A Cry is Heard: My Path to Peace. Special thanks this week to Joan Mahler and Sister Anita. The On Being Project is located on Dakota Land. 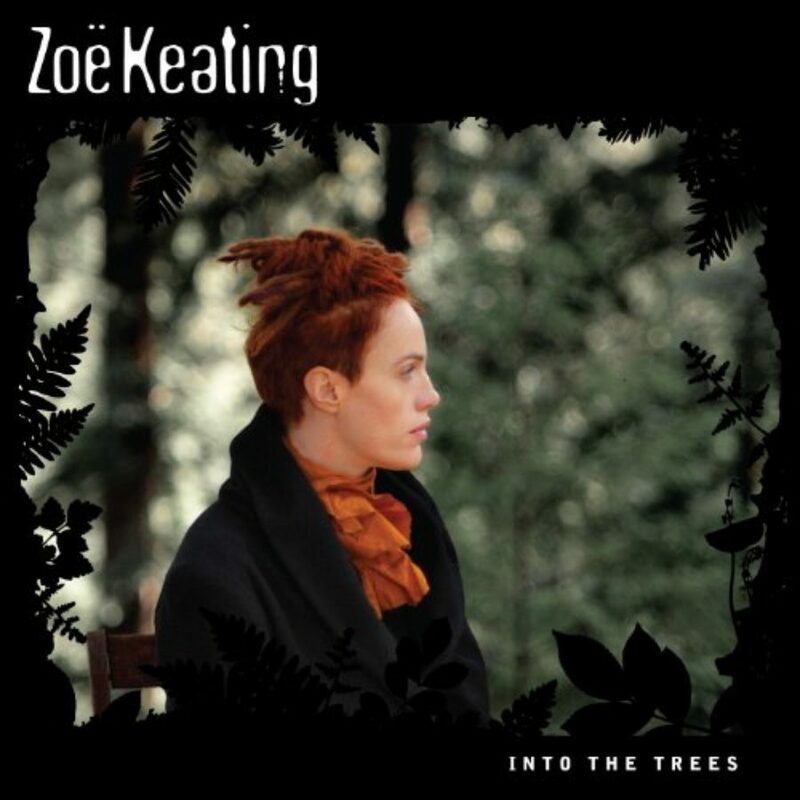 Our lovely theme music is provided and composed by Zoë Keating. And the last voice that you hear singing our final credits in each show is hip-hop artist Lizzo. The John Templeton Foundation harnessing the power of the sciences to explore the deepest and most perplexing questions facing human kind. Learn about cutting-edge research on the science of generosity, gratitude, and purpose at templeton.org/discoveries.